In January 2000, a woman named Janet Arvizo consulted with a civil lawyer about suing Michael Jackson for having allegedly molested her son.1 This would have been the second child molestation lawsuit filed against Jackson, the first being the result of sexual abuse allegations that were made by a 13-year-old boy in 1993. The problem, however, is that in January 2000, Janet Arvizo had never met Michael Jackson; neither had her son. In fact, it would still be another seven months before Jackson would even be introduced to the Arvizo family. Did Janet Arvizo set out to meet Michael Jackson with the intention of eventually filing a child abuse lawsuit against him? And if they were aware of Arvizo’s potential motives before they arrested and charged Jackson, why did authorities choose to go forward with the case? The following report takes an in-depth look at the Arvizo family, their history of making sexual abuse allegations for personal gain, their attempts to cash in on their connection to Michael Jackson and, finally, their involvement with several major players from the 1993 child molestation case against Jackson. Prior to accusing Michael Jackson of child molestation, the Arvizo family had been involved in two other sexual abuse cases. In 1998, Janet Arvizo, her husband David and their three children Anne*, John* and Rob* accused security guards from JCPenney and Tower Records of physically assaulting them after pulling them over for shoplifting. Tom Griffin, the attorney who represented JCPenney in the case, told NBC’s Mike Taibbi that the Arvizo family had no evidence to substantiate their claims. “[The mother] just came up with this fairy tale, not a fairy tale, it’s a horror story, and just ran with it,”4 Griffin said. Halpern was hired when a bitter custody battle arose between the Arvizos following their divorce in 2001. The dispute took an unexpected turn when Janet Arvizo accused her ex-husband of being abusive, an allegation that was initially denied by the couple’s three children. In October 2001, social workers were called to investigate the Arvizo family following an altercation that had taken place in their home. When questioned on their own, the children did not allude to any abuse on the father’s part. “There was no hitting, just yelling, and not a lot of yelling,” the children told social workers. When Janet Arvizo returned home and discovered that the Department of Children and Family Services had interviewed her children without her there, she immediately got in contact with the agency. Social workers returned to the family’s apartment and interviewed the Arvizos again. In the presence of their mother, the children drastically changed their story, alleging that their father was indeed abusive. 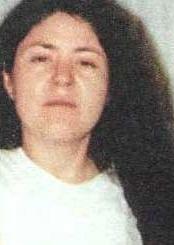 Janet Arvizo further claimed that her ex-husband had molested and falsely imprisoned their daughter 12 years earlier, allegations that only materialized during the custody battle. According to court documents, Mrs. Arvizo “could not provide any other pertinent information regarding [the alleged molestation].”8 Years later, Janet Arvizo and her children would level similar allegations against Michael Jackson. David Arvizo pleaded no-contest to the charges and was barred from seeing his children as a result. During an interview on Larry King Live, Russell Halpern, who is currently trying to obtain visitation rights for his client, discussed court documents that indicate that the abuse allegations against the father were false. How can Janet Arvizo’s conflicting statements regarding her ex-husband be explained? It should be noted that the allegations against the children’s father only materialized in October 2001 – exactly one month before the Arvizos were set to receive a $152,500 settlement from JCPenney. The above incidents lend credence to the defense theory that Janet Arvizo has a propensity for telling contradictory stories, coaching her children to lie and using abuse allegations for her own personal gain. But just how did Michael Jackson, arguably one of the most famous entertainers on the planet, get involved with the troubled Arvizo family? Janet Arvizo also told a caseworker that through her son’s cancer, she had “found ways to get things for her kids,”12 a claim that is supported by the following stories. Investigative reporter Harvey Levin later revealed that all of John Arvizo’s medical bills were covered by insurance. “There were no medical bills,” Levin reported. “The father of this boy was covered, the entire family covered, by insurance, one hundred percent. They didn’t have to pay a cent.” Evidently, Mrs. Arvizo had lied to the newspaper, using her son’s illness as a means to con readers into giving her money. A similar incident occured less than a year later. In October 2001, John and Rob Arvizo were cutting class when two members of the Los Angeles Police Department approached them. When the officers asked the children why they were not in school, Rob began to cry and explained that they were on their way to the hospital to visit their mother who had just undergone surgery. The officers took pity on the boys and offered to drive them. On route, John announced to the officers that he had just had a 16-pound tumour, his spleen and his kidney removed; he then proceeded to show them his scars. While the officers involved deserve to be commended for their generosity, it remains to be seen why the Arvizos were accepting money and gifts from strangers less than a month after receiving a six figure out of court settlement from JCPenney. In February 2003, John Arvizo was featured in Living with Michael Jackson, a British documentary on Jackson’s life. While journalist Martin Bashir’s interview with John briefly touched on the positive influence that Jackson had had on the boy’s recovery, the focus of the interview shifted when John announced – seemingly out of nowhere – that he had once spent the night in Jackson’s bedroom. Regardless, this scene – along with Jackson’s claim that there is nothing inappropriate about falling asleep next to a child – led to a firestorm of controversy. As the public outcry against Michael Jackson reached a fevered pitch, sexual abuse allegations that had been made against the singer ten years earlier would soon come back to haunt him. The media backlash that accompanied the February 2003 airing of Martin Bashir’s documentary reached its pinnacle when a past scandal involving Jackson and child molestation allegations resurfaced. In 1993, a 13-year-old boy named Jordan Chandler had accused the singer of sexual abuse. Several days after Living with Michael Jackson aired, the boy’s graphic deposition from that case was released on the Internet.17 Many felt that given the nature of those allegations, it was highly inappropriate for Jackson to be sharing his bedroom with children. So why did Michael Jackson opt to settle the civil lawsuit? According to legal secretary Geraldine Hughes, the civil trial was scheduled to precede the criminal trial, which would have been a violation of Jackson’s constitutional right to not self-incriminate. This, Hughes contends, prompted Jackson’s lawyers to advise him to settle the case. Consistent with Hughes’ explanation, court documents show that Jackson’s lawyers filed a motion in 1994 asking for the civil proceedings to be stayed until after the criminal case was resolved; had their request been granted, any potential settlement would have been negotiated after the criminal trial was over. The motion, however, was denied. Had Jackson not settled the civil case, he would have put his defense strategy in jeopardy by revealing his exculpatory evidence to the prosecution months before the criminal case went to trial. Hughes was a legal secretary for Barry Rothman, the divorce lawyer who represented Jackson’s accuser’s father Evan Chandler. In her book Redemption: The Truth Behind the Michael Jackson Child Molestation Allegations, Hughes asserts that the allegations were part of an elaborate plan conceived by Chandler and Rothman to extort money from Jackson,19 an opinion that is substantiated by an audiotape of Chandler speaking to his son’s stepfather on the phone. Surprisingly enough, official documents that are currently for sale on Ray Chandler’s website corroborate Fischer’s report. A transcript from one of Jordan Chandler’s therapy sessions describes the circumstances under which the boy first told his father about the alleged abuse. Jordan Chandler’s account of what happened is exactly consistent with Fischer’s. Based on Jordan Chandler’s own recollection of events, he was indeed given a drug before he came forward with the abuse allegations against Michael Jackson. While the boy never specified the name of the drug, it is likely that it was in fact sodium amytal because every other detail from Fischer’s report turned out to be accurate. If Jordan Chandler was given sodium amytal before he accused Michael Jackson of sexual abuse, what implications does this have on the veracity of the boy’s allegations? Although sodium amytal was originally believed to be a truth serum, subsequent experiments found statements made by those under its influence to be highly unreliable. “Investigations noted that the drug makes patients vulnerable to either accidental or deliberate suggestions from the interviewer,” explains August Piper Jr., an expert on false memory syndrome.23 According to Jordan Chandler, it was only after he had been drugged that his father began to probe him about his relationship with Jackson. After the drug had been administered, Evan Chandler took his son to see a psychiatrist; while there, the boy came out with the explicit allegations against Michael Jackson, prompting a police investigation. Elsewhere in the statement, Sneddon stressed the fact that the case could not go forward without a “cooperative victim.”28 Coincidentally, the very same boy who appeared in the documentary would later become Jackson’s second accuser. According to the defense, it was during this time that the Arvizo family began to cause problems within the Jackson camp. The family’s alleged suspicious behaviour coupled with the public relations disaster that ensued after the airing of Living with Michael Jackson prompted Jackson to hire criminal defense attorney Mark Geragos. In addition to making positive statements about Jackson to his defense team and to his employees, the Arvizos also denied any wrong doing on Jackson’s part to social workers throughout February 2003. How did the Arvizo family go from praising Jackson to making such serious allegations against him? If we are to believe the prosecution’s version of events, Jackson’s employees intimidated the Arvizo family into defending Jackson to social workers, Private Investigators, journalists and virtually every other person who had come into contact with the family after Living with Michael Jackson aired. Once Jackson had all of their statements on record, he then molested the boy. But if Michael Jackson is telling the truth, the family only made accusations against him when their other attempts to get money from him failed. 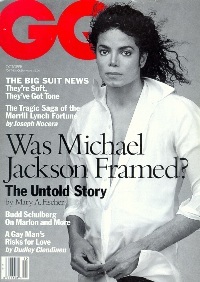 Michael Jackson seemed equally angered by the tone of the documentary and began compiling footage for a rebuttal video. To counter the negative publicity surrounding his relationships with children, Jackson had John Arvizo and his family film interviews where they made statements in the pop star’s defense. The footage was supposed to be included in the rebuttal video but Jay Jackson demanded financial compensation in return for the family’s participation. During a pre-trial hearing, Jackson recalled saying to one of Michael Jackson’s associates: “This family has nothing and you’re making millions from [the rebuttal video] and what are you going to do for this little family?” To appease Jay Jackson, the associate offered the family a house and the children a college education in exchange for their permission to use the footage. Jackson refused the offer, instead making a demand for money. Shortly after, she returned to Dickerman with plans to sue Michael Jackson for an issue unrelated to child molestation. Dickerman began writing a series of letters to Mark Geragos, claiming that Jackson was in possession of some of the family’s belongings including furniture and passports. Dickerman demanded the return of these items and also alleged that the family was being “harassed” and “terrorized” by Mark Geragos’ Private Investigator Bradley Miller.46 It would be months before the Arvizo family would take these claims to the police. While the letters were seemingly sent to assist the Arvizos in getting their furniture and passports back, it appears that Dickerman was more interested in gaining access to any evidence that could potentially prove Jackson’s innocence if the family were to later accuse the pop star of child molestation. While the relationship between Michael Jackson and the Arvizos had obviously become contentious after the airing of the Bashir documentary, they maintained all along that Jackson had never sexually abused the boy. That all changed in May 2003, when Larry Feldman – the civil lawyer who brokered a $15 million settlement for Jackson’s first accuser – entered the picture. After meeting with Larry Feldman, the civil lawyer who had represented Michael Jackson’s first accuser, John Arvizo finally came forward with the sexual abuse allegations against the pop star; his younger brother Rob backed up his story, claiming to have witnessed the alleged abuse. Feldman sent the boys to see psychiatrist Stan Katz, who had also been involved in the 1993 case. These were the same children who, less than four months earlier, had vehemently defended Jackson to social workers. For some reason, after all of their previous denials of abuse on Jackson’s part, the Arvizo children drastically changed their story after getting involved with Feldman and Katz, two key players from the 1993 case against Jackson. Feldman visited the Department of Children and Family Services and asked them to overturn their “unfounded” ruling from February 2003. The DCFS refused, saying that because the boy was not in immediate danger, there was nothing else they could do.49 Dr. Katz then reported the alleged abuse to the Santa Barbara Police Department who subsequently launched an investigation in June 2003. In addition to having been involved with both Jordan Chandler and John Arvizo, Dr. Katz had another connection to the Jackson case – his list of patients also included Bradley Miller, the Private Investigator who had been hired by Mark Geragos to keep an eye on the Arvizo family throughout February 2003. After five months of investigating, the Santa Barbara Police Department was ready to go forward with its case. But first, the Arvizo family would have to agree to put their civil lawsuit on hold and go forward with the criminal case against Michael Jackson. In June 2003, Santa Barbara District Attorney Tom Sneddon began to personally investigate the Arvizo family’s claims against Michael Jackson. In a police interview, Janet Arvizo alleged that Jackson’s employees had relentlessly victimized her and her family. In one instance, Jackson’s representatives allegedly showed up at the Arvizos’ apartment and demanded that the family move to Brazil. “One of the reasons was because there was [sic] people that were gonna kill the children and me… mostly my children,” Mrs. Arvizo told investigators. Janet Arvizo believed that the true motive behind the alleged proposed trip was to prevent the family from speaking to investigators. When Mrs. Arvizo eventually tried to put an end to her son’s alleged relationship with Michael Jackson, the boy supposedly shot her in her pinkie toe with a BB gun. Their plans to sue the pop star, however, would have to wait; after 1993, Sneddon amended California law so that if civil and criminal proceedings arose over the same allegation, the civil proceedings would be stayed until after the criminal case was resolved.54 Consequently, if the family had chosen to go forward with their lawsuit, the proceedings would have remained inactive until the statute of limitations in the criminal case expired. While it would be years before the Arvizo family could seek monetary damages from Jackson in court, Sneddon informed them of a state victim’s fund that would provide them with financial compensation if they persisted with the allegations. In November, Sneddon met with Janet Arvizo in an empty parking lot to provide her with the necessary paperwork to apply for the fund.55 Less than a month later, the case went forward. John Arvizo and his family provided authorities with a fifty-page affidavit detailing their allegations. In addition to the child molestation accusations, the Arvizos also claimed that they had been held hostage at Jackson’s Neverland ranch for several weeks in February 2003, the same month throughout which the family had made numerous attempts to cash in on their connection to Jackson.56 Using the affidavit to show probable cause, Sneddon obtained a warrant for Michael Jackson’s arrest as well as a warrant to search Neverland Ranch. After raiding Neverland on November 18th, 2003, authorities also searched the office of Mark Geragos’ Private Investigator Bradley Miller and the home of Jackson’s former videographer Hamid Moslehi. During the raid of Moslehi’s home, Sneddon confiscated a tape that featured footage of the accusing family praising Jackson. The contents of the tape would present a problem for the prosecution: the interview with the family was conducted in February 2003 but according to the family’s affidavit, Jackson had molested the boy and kidnapped the family that very same month.57 Having access to this tape gave Sneddon an opportunity to familiarize himself with Jackson’s defense strategy, which would most likely centre on the Arvizo family’s inconsistent statements. As soon as the charges against Jackson were filed, many inconsistencies in the prosecution’s case were revealed. The Arvizo family’s litigious past, for example, immediately became the focus of much media attention. The general public learned about the accusations that Janet Arvizo had levelled against JCPenney and her ex-husband, as well as her alleged history of coaching her children to lie under oath. Many also began to question the timing of the supposed abuse. According to the charges, the alleged molestation began on February 7th – the day after Martin Bashir’s Living with Michael Jackson documentary aired in the United States. Many found it implausible that Jackson would have started to molest the boy while in the midst of a huge scandal involving him and past accusations of child abuse. Furthermore, both the Department of Children and Family Services and the Santa Barbara County Sheriff’s Department had investigated Jackson in February 2003 and concluded based on their interviews with the Arvizos that no abuse had taken place. It seems unlikely that Jackson could have molested the boy while being investigated for suspected child abuse by two separate government agencies. To overcome these inconsistencies, Tom Sneddon made several changes to the charges against Jackson. Although Tom Sneddon had officially filed a criminal complaint against Michael Jackson in December 2003, he later brought his case in front of a grand jury, which resulted in a new 10-count indictment. The new charges indicate that either the Arvizos drastically changed their story or Tom Sneddon intentionally made alterations to his case in order to make the accusations appear more logical. According to the original complaint, the sexual abuse timeline began on February 7th. A memo from the Department of Children and Family Services, however, reveals that on February 20th, the entire family defended Jackson to social workers and maintained that he had never even been alone with the boy. Based on these statements, it seems highly unlikely that any abuse occurred between February 7th and February 20th. In the new set of charges, these three weeks have disappeared from the timeline. The abuse is now alleged to have begun after February 20th, rendering the family’s initial statements to social workers irrelevant. Another notable difference in the accuser’s story – besides the shift in the timeline and the change in the amount of times he was allegedly abused – is that the charges in the complaint state that John Arvizo was only given alcohol twice, indicating that he was sober throughout most of the occurrences of alleged abuse. The charges in the indictment, however, suggest that the boy was intoxicated throughout every incidence of alleged abuse. The most questionable change, however, is that the conspiracy allegation was not included in the original charges. In the indictment, Jackson is accused of 28 overt acts of conspiracy including child abduction, false imprisonment and extortion.64 The prosecution alleges that Jackson conspired with five unnamed employees to kidnap the Arvizo family and force them into making positive statements on his behalf. According to prosecutor Gordon Auchincloss, Jackson did this to improve his public image after the airing of the Living with Michael Jackson documentary.65 He then allegedly molested the boy. As a result of the conspiracy charge, the prosecution can now attempt to discredit all of Jackson’s exculpatory evidence. The Arvizo family’s previous denials of abuse, for example, can be justified by the allegation that the family was forced to defend him. Secondly, testimony from potential defense witnesses who may have observed erratic or suspicious behaviour on the part of the Arvizos can now be discredited by the charge that Jackson’s associates were involved in a criminal conspiracy against the family. Finally, if Jackson does have an alibi for all of the dates of the purported abuse, the prosecution can simply claim that the alibi was also involved in the supposed conspiracy. To the average observer, the allegations against Michael Jackson might now appear consistent but to those who have followed the case closely, the question remains why the charges only took their current form after Jackson’s defense strategy was revealed to the prosecution. Although the major discrepancies in Sneddon’s case have been eradicated, there are still several problems with the charges against Jackson, particularly with the allegation that he held the Arvizo family hostage at Neverland throughout February and March 2003. Another problem with the conspiracy allegation is that although five of Jackson’s associates were allegedly involved in the kidnapping of the family, Jackson is the only one who has been charged with a crime. The five alleged co-conspirators remain un-indicted and have all been offered immunity if they agree to testify against Jackson. Joe Tacopina, an attorney for one of the accused co-conspirators, insists that his client has rejected Sneddon’s offer of immunity and maintains that the Arvizo family’s claims are ludicrous. Ron Konitzer, a former employee of Jackson’s who is now accused of conspiring against the Arvizos, insists that innocent facts have been twisted to fit the prosecution’s version of events. “It was a very natural development of events and a normal professional move that has been taken out of context,” Konitzer said of the measures that were taken to restore Jackson’s image after Living with Michael Jackson aired, measures that are now being used by the prosecution as evidence of a conspiracy. If Michael Jackson had kidnapped the family in February 2003, why was Janet Arvizo still praising the pop star in May 2003? Why did she return to Neverland after allegedly being held hostage there? Why did it take her three months to contact the police? Why did she contact a civil lawyer first? The question still remains, however, why a veteran prosecutor would risk his reputation by filing such dubious charges, especially when the case in question has garnered unprecedented media attention. Does Sneddon truly believe that Michael Jackson is guilty of the crimes of which he has been accused or are there other motives involved in his relentless pursuit of the pop star? A careful examination of these questions reveals a sordid pattern of greed, corruption and blackmail within the Santa Barbara District Attorney’s office.